When producing new fabric replacements we need certain measurements in order to deliver to our customer a slide topper that is a perfect fit and one that provides maximum slide coverage. Because your topper has probably stretched or experienced shrinkage, do NOT measure your existing fabric. Also awning manufacturers and suppliers have been noted to short the fabric providing poor slide coverage. In addition we only use manufacturer serial numbers for assisting us in color coding fabric. We DO NOT and cannot rely on manufacturer serial numbers for measurements. They are notoriously wrong and can result in toppers that are too short for the assemblies. It is our job to get as much fabric as possible above your slide. After all that is what your paying for and you deserve and should expect excellent slide coverage. If you are physically unable to measure your topper assemblies, please contact us for additional information and assistance. Stone Vos cannot be responsible for measurements provided to us by owners or technicians/service centers. While we do everything we can to assist our customers with measurements, the final numbers provided to us are the responsibility of the owner. This guide will help you with measuring your slide topper and provide us with exact numbers to work from. Remember to measure twice so we only have to cut once. The easiest way to measure your toppers is to place your slides all the way in. While standing on the roof measure the distance across the topper cover from inside each plastic end cap located on the aluminum topper cover. This is the measurement you will supply us with. 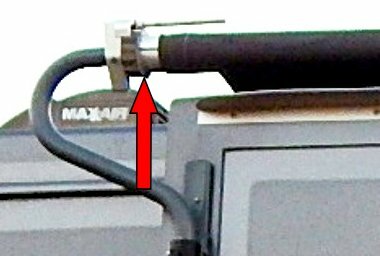 Note: Do not measure from outside the black end caps. Because our toppers are all a standard width we do not need the depth measurement or the distance the slide extends out. 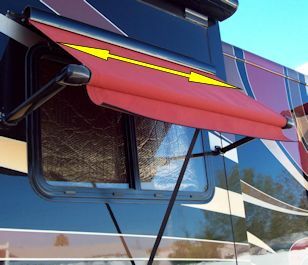 Pull down the window awning and then measure from polyrod to polyrod ( This rod is located inside the fabric pocket and is attached into the grooves on the coach rail and the roller tube. See picture below. ( Note, this procedure is the same for window and patio awnings ). If your Omega has an alumagard, please let us know. If you have an Omega II with an outside cover, please indicate this at time of ordering. Girard slide toppers are manufactured differently then all other toppers which requires an additional measurement. Because Girard assemblies are made differently they require exacting finish depths. In order to ensure that your toppers fit properly please follow the instructions below. If you should have any questions, please feel free to contact us. 1. Fully extend the slide, window, door or patio awning. 2. Measure the current slide fabric length from left to right. How to Measure Window Awnings. 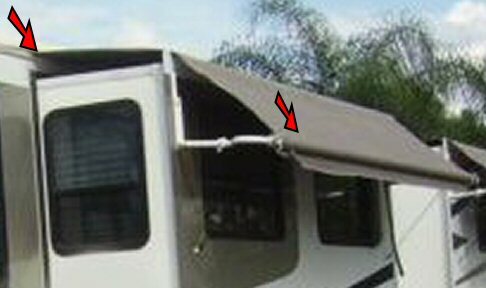 Measure the length of your window awning FABRIC as pictured below. Next, measure the distance of the drop by measuring from the top bead to the bottom bead on the roller tube. If you have a tall vertical window please let us know. This measurement will be the depth of the fabric. Now measure the length of your current patio awning fabric. 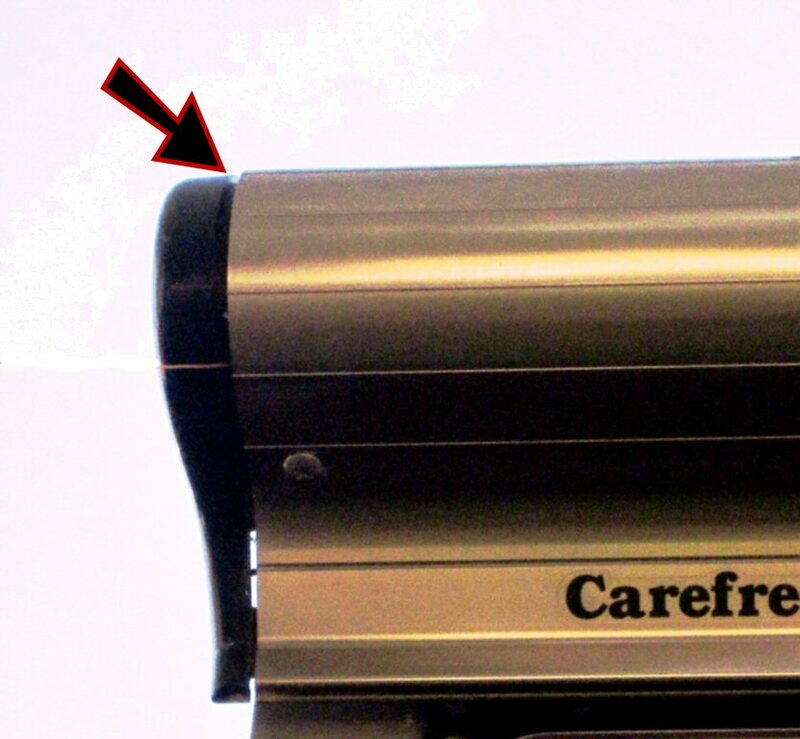 On Carefree patio awnings we do provide custom valance lengths. 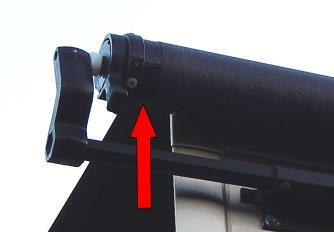 Please contact us for instructions on how to measure the different Dometic series patio awnings. There are several different combinations of Dometic / A & E patio awnings. Once we know your model type we can give you specific instructions.